So I haven’t updated about anything the last 2 weeks since I’ve been back in Colorado so here it all is! 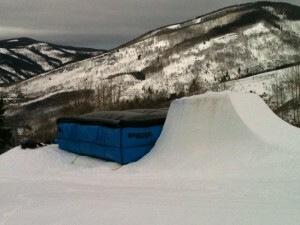 I had my first experience on an air bag at Vail. The set up is like a half pipe and you can train some pretty epic tricks just like you would do them in a pipe. After I got the feeling of the air bag and landing on it I started working on some Crippler 7s. They were pretty easy and it was so much fun training them, I’ll defiantly be spending a lot of time on the air bag through out the season training some bigger tricks. I have some footage from the session that i will soon get off my coach Ben Boyd! The Following day after the air bag session I started working on some crippler 5s in Brecks pipe. I only had a few attempts but it was a start and I had the right feeling for them, so ill be sure to keep training them so I can add them to my competition run! 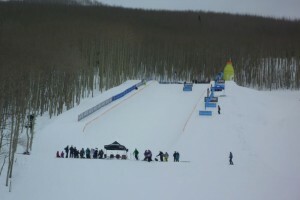 The Weekend that just past was the Gatorade Free Flow Tour at Vail. It was a slope and pipe comp, I only competed in the pipe comp. It was a flat light day and the pipe was a weird shape but I spent the whole day before doing laps of the pipe to get used to it ready for the comp. I landed my first run, which consisted of backside air, frontside air, backside air, front 3, cab 3, frontside air and finishing with an alley-oop crippler which I landed and was super stoked about. Then my second run I went a little bigger on my straight airs and went bigger than expected on my front 3 and washed out on the landing and couldn’t finish the rest of my run, so I had to only count my first run which placed me 6th out of the 11 competitors. I was happy about landing my first run, and there is defiantly room for improvement next competition! Yesterday we received 26 inches of snow. That’s over 2 feet! It was probably one of the sickest powder days I’ve had. I went up to Breckenridge with my buddie from home Amber Arazny and we had a really fun day in the powder. At some stages I was stuck in powder up to my waist and had to dig my self out, it was just an amazing day! Tomorrow hopefully it doesn’t snow too much and the sun comes out so they can reshape/cut the pipe and we can get back into training.